Lemon Grove is eight miles east of downtown San Diego. 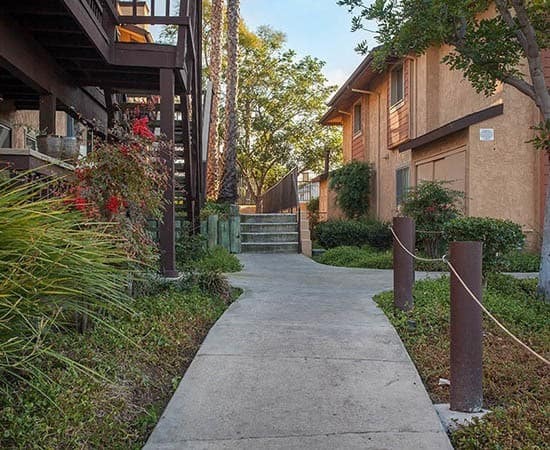 Hillside Terrace is situated just off I-94, putting you within minutes of all the conveniences of San Diego County. Our walkable neighborhood is home to Marketplace at The Grove and plenty of tempting restaurants and shops. Get around easily by bus or transit. Public transit stations are less than a mile away from Hillside Terrace. Major employers in Lemon Grove include Walmart, Target, Chase Bank, and Toyota. Lemon Grove boasts a central location and abundant community services, with apartments that fit your budget. You’ll find great schools, shopping, and restaurants all within a couple minutes of your Hillside Terrance Apartment home. Hop on I-94 and you’re within reach of the greater San Diego County area. From weekly grocery shopping to date night, Lemon Grove has what you’re looking for. Visit us in Lemon Grove and see what makes it a budget-friendly option in San Diego County. Call us today to schedule your personal tour of Hillside Terrace.